Showings Start Tues. May 4th...Offers Tuesday May 11th 6pm...Open House May 9th 2pm - 4pm, A North East River Heights Beauty! Tons of Upgrades, Hardwood Floors on All 3 Levels! 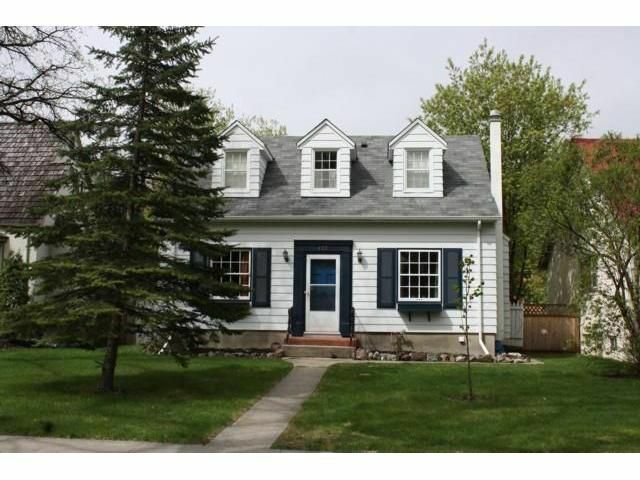 Full Bath with Jetted Tub, Two Large Bedrooms Upstairs, Former Third Bedroom in Basement, Big Bright Kitchen, Full Basment with High Ceilings, Two Hotwater Tanks, Single Garage, Big Lot, Classic River Heights Tree Lined Street. New Shingles (07), Hotwater Tank (07), Eaves (07), Central Air (07), Paint (09), Some Insulation (07).........Brightly naturally lit kitchen,..large 4p bath...Roomy second bedroom ......hardwood floors on all 3 floors...2nd floor linen closet...Plumbing for 2nd bathroom roughed in basement....single garage with automatic door opener..outdoor closed in gazebo...electronic air cleaner...heating/electricity on budget At only $202/month..